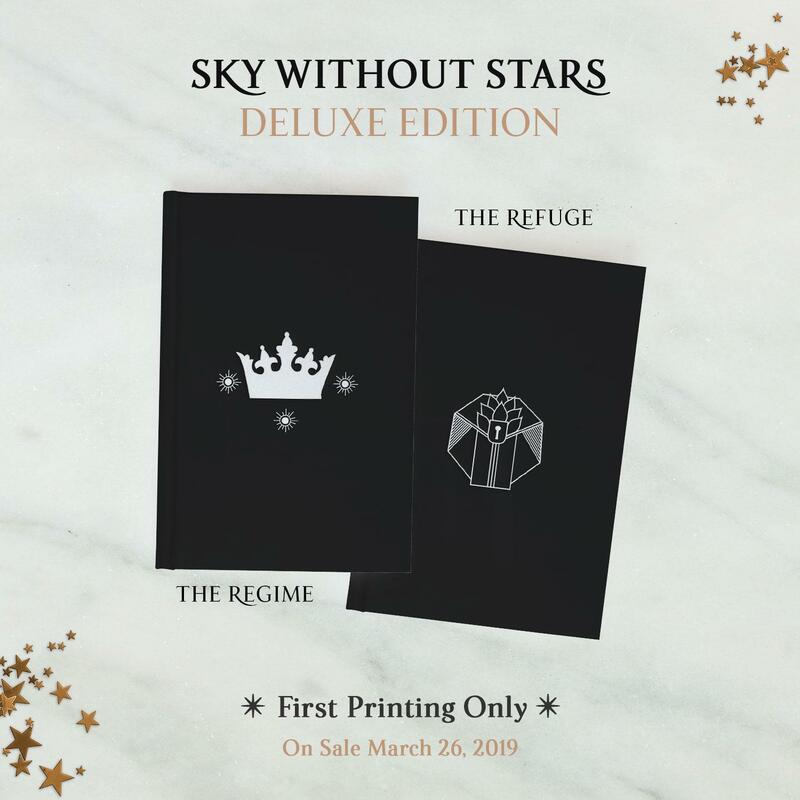 Sky Without Stars is now officially on sale! Thank you to everyone who participated in this pre-order offer. Your gift pack will be included with the book from the bookstore you purchased from. If you choose to pick up the book in-store, you may pick it up as soon as your order is ready. If you choose to have the book shipped to you, please allow the appropriate time for delivery based on the shipping speed you selected at check-out. For any questions about the status of your order, please contact the bookstore you ordered from using one of the contact links below. If you missed out on this offer, you can still purchase a first edition copy of our new book (with special hidden covers) from any retailer. Additionally, we’re offering the first 50 pages of our new book for FREE by filling out the form below. Happy Reading! Sky Without Stars is now available wherever books are sold! But because we love to support Indie bookstores, anyone who orders from one of our select Indie partners will receive an Exclusive Gift Pack, including a limited edition color map poster, autographed bookplate, bookmark, and postcard! WHEN YOU ORDER FROM A SELECT INDIE BOOKSTORE! 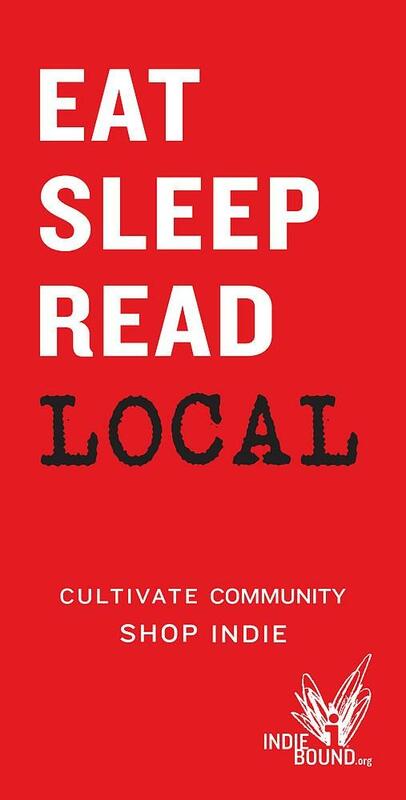 Help us show the love for Independent bookstores! 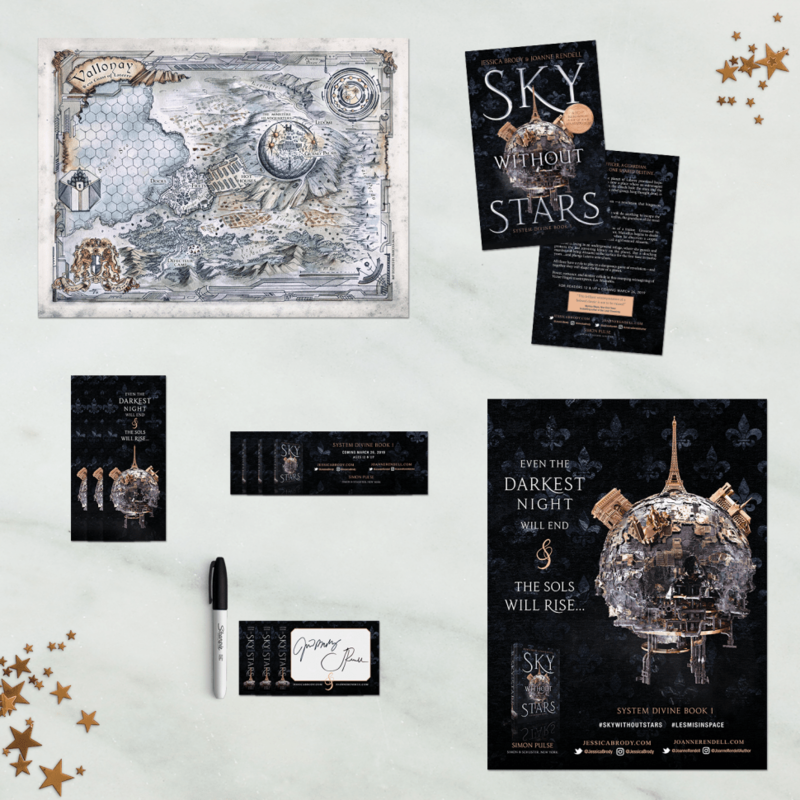 All readers who order a hardcover copy of Sky Without Stars from one of our Indie partners will receive an exclusive Gift Pack! **Your gift pack will be included with your book (released March 26, 2019) when it is shipped or picked up in store from the bookstore you purchased from. FIRST PRINTING ONLY : ALL Orders (from any retailer) will feature a Deluxe Edition of the hardcover with one of two gorgeous secret hidden covers! Which one will you get? 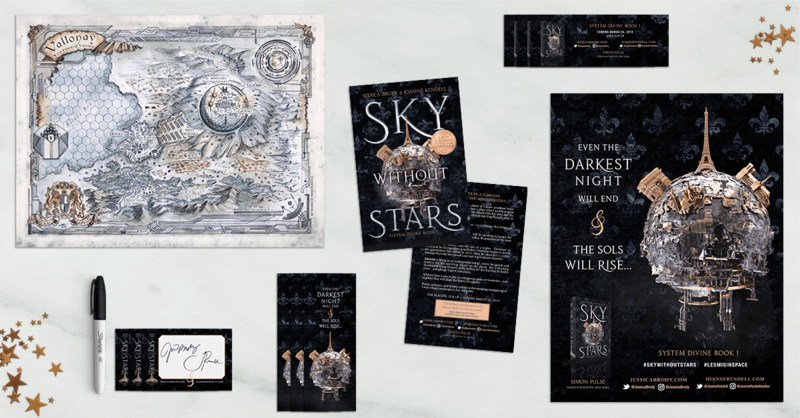 Order a hardcover copy of Sky Without Stars from one of our Indie partners & confirm your proof of your purchase by filling out the form below. Purchase a hardcover copy of SKY WITHOUT STARS from one of the following Independent bookstores (you must order from one of our partners listed below to receive the gift pack). *For a full list of retailers who offer international shipping, please click here. SKY WITHOUT STARS is officially on sale! We're no longer accepting pre-order submissions at this time. Thank you for your interest! Share this offer with a friend or fellow bookworm! Three years ago when we first uttered the words “Les Mis in Space” to our agent, we never anticipated what would come next: the challenges, the struggles, the fits of delirious giggling, the long Skype calls debating whether or not to kill a character, or if llamas could feasibly live on the new planet we were imagining. 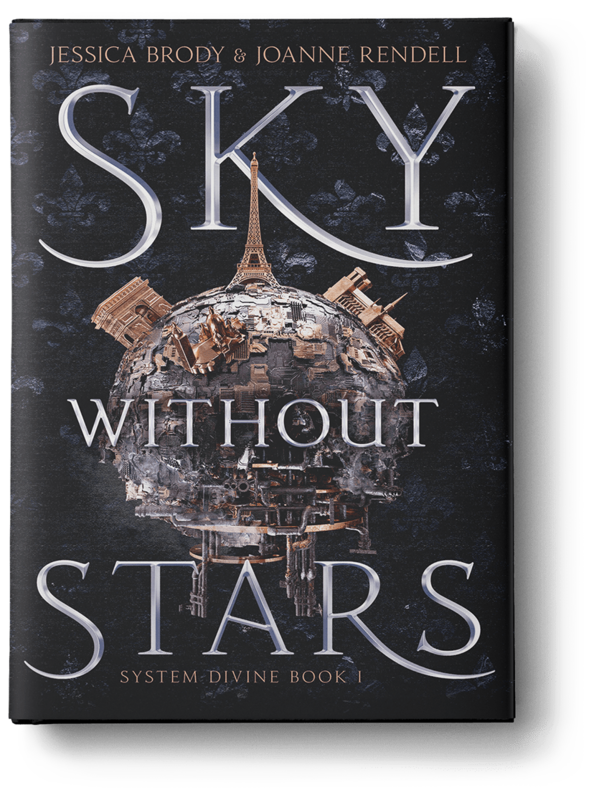 Now, three years later, SKY WITHOUT STARS, the first installment in the System Divine series is here and we couldn’t be more proud. We are thrilled to welcome you into our futuristic sci-fi world of Laterre and hope you profoundly enjoy your visit there. The excitement around the release of the book has been both exhilarating and humbling for us and nowhere else has it been quite so encouraging than among independent bookstores and booksellers. As you’ll soon read below, both of our lives have been touched and altered by independent bookstores, which is why we could think of no better partners to team up with for the launch of this book. 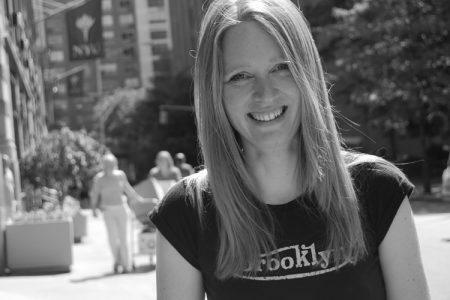 Back when my son Benny was little, I juggled my new mum life with trying to write my first novel, and my local independent bookstore in New York City ended up being the place where I got some of my best writing done. In their cozy cafe, surrounded by all their carefully chosen books and friendly staff, I would park my sleeping son in his stroller and hammer out a few pages while sipping on an English Breakfast tea! When my son woke up, I’d close up my laptop and we’d head down to story-hour in the children’s books department. The store was my home away from home, my supplier of great books, my favorite writing spot, and a place where my son and I found a sweet and book-loving community. If I weren’t for that store, I don’t think I’d be a published author today! In my twelve years of writing and publishing books, I’m fortunate to have visited so many wonderful independent bookstores of every size, shape, and flavor. But the one thing they all have in common is that there’s always someone ready and eager to nerd out about books with you. There’s always a bookseller excited to hear what you read last, and then hand you the book that might change your life. And that’s exactly what happened to me. I’ll never forget the night, eleven years ago. I was wandering the stacks of one of my favorite indies after a signing for my very first novel, and one of my favorite booksellers said, “Have you read this? It just came out and I think you’ll love it.” She handed me a copy of The Hunger Games and I immediately shook my head. The cover was so not my style. But she insisted, so I bought the book and read it (in almost one sitting). Not only does it remain one of my favorite books of all time, it’s the book that made me (a contemporary author) want to write sci-fi. Two years later, I sold my first sci-fi trilogy, Unremembered, and now here I am releasing my the first installment of my second sci-fi series. And to think, I probably never would have picked up that book on my own. As readers and fans and booklovers, independent bookstores are our motherships. Our safe havens. Our inspirations. Our accepting and welcoming community. So please join us in celebrating the Indies and showing our love for independent bookstores…where there’s always someone ready and eager to hand you the book that might change your life! Thank you for traveling beyond the edges of the galaxy with us. Thank you for supporting your community of booklovers. And most of all, thank you for reading. I could fill an entire book detailing all the things I love about Sky Without Stars, from the epic tech to the immersive world-building, the jaw-dropping twists to the characters that universally stole my heart. This brilliant reinterpretation of a beloved classic is not to be missed! Les Misérables like you’ve never seen it before–this page-turning story rockets the classic through the stars and into your heart. With intricate world-building and a plot that never slows, Sky Without Stars turns fantasy conventions upside down, all through the wrenching, intoxicating entanglements of characters you instantly care about. I’ll be first in line for the sequel! An exquisitely executed reimagining. Epic in scope and storytelling, Sky Without Stars is an explosion of emotion, intrigue, romance, and revolution. Brody and Rendell masterfully craft a new take on an old favorite that’s out of this world, filled with drama, intrigue and romance. Loved! Evocative, nuanced storytelling driven by compelling characters makes Sky Without Stars a unique gem that will both enthrall your imagination and wrench your heartstrings. I inhaled this Les Mis-in-space story and am desperate for more! INDIES LOVE SKY WITHOUT STARS! Hailed as Les Mis in space, this deliciously rich, well-crafted sci-fi/tech epic will be the next big YA series on par with Marissa Meyer, Cassandra Clare, and Sarah J. Maas. Fans of the Illuminae series will love this. The backdrop is utterly futuristic, humanity is as base as it has always been, and as so often happens, we root for the rebels. You may think you know the story of Les Mis but not here, not on this planet, not on Laterre. Part retelling, part mystery, part dystopian, part sci-fi, Sky Without Stars is an ambitious mix of genres that successfully combines into a single adventure. It takes a tough, gritty, and thought-provoking look at loyalty and identity in a time of revolution. 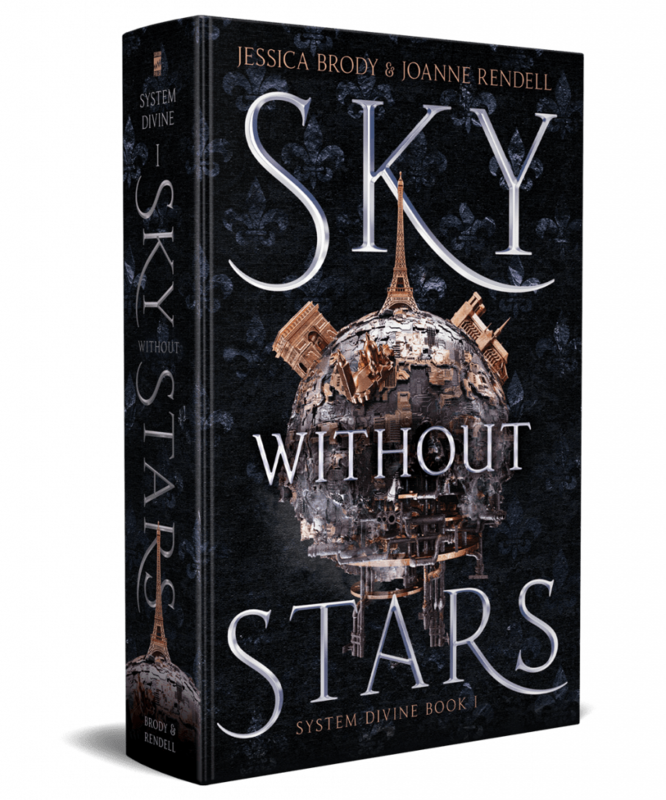 Sky Without Stars is a meaty, delicious novel, and I can’t wait for the next book in the System Divine series. Jessica Brody is the author of more than 17 novels for teens, tweens, and adults including The Geography of Lost Things, The Chaos of Standing Still, A Week of Mondays, 52 Reasons to Hate My Father, Better You Than Me, the three books in the sci-fi Unremembered trilogy, and the forthcoming Sky Without Stars (a sci-fi reimagining of Victor Hugo’s Les Misérables, co-written with Joanne Rendell), coming March 26, 2019. 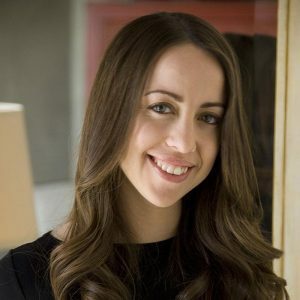 She’s also the author of the Descendants: School of Secrets series, based on the hit Disney Channel original movie, Descendants and the LEGO Disney Princess chapter books. Jessica’s first non-fiction book, Save the Cat! Writes a Novel (a plotting guide for novelists) released in October 2018. Jessica’s books have been translated and published in over 23 countries and two are currently in development as major motion pictures. She lives with her husband and three dogs near Portland, OR. Visit Jessica online at JessicaBrody.com. 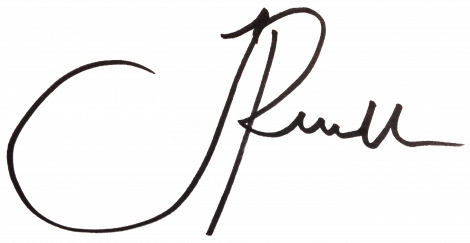 Joanne Rendell is the author of three novels for adults—The Professors’ Wives’ Club, Crossing Washington Square, and Out of the Shadows—published by New American Library/Penguin. She holds a PhD in English Literature and has taught (and is extremely passionate about) literary classics, such as Hugo’s Les Misérables. 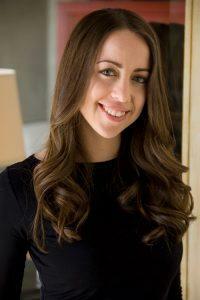 Joanne writes essays and interviews for the Huffington Post and other publications. 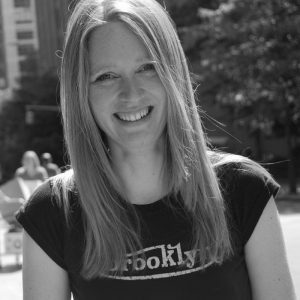 She’s a board member, assistant producer, and dramaturge for the youth Shakespeare company, New Genesis Productions. 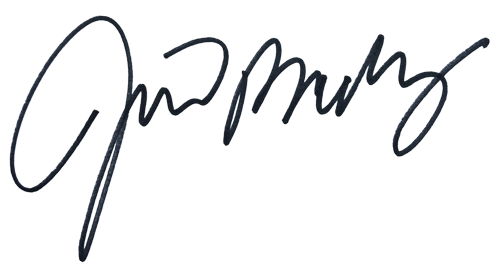 Joanne also teaches fiction writing to teens and kids in New York City, where she lives with her husband—a professor at NYU—and their thirteen-year-old son. Visit Joanne at JoanneRendell.com. IS THIS OFFER OPEN INTERNATIONALLY? Yes! Please order your copy from one of our select Indie partners listed below. Please note International shipping charges will apply and shipping speeds may vary based on store and country. I WANT TO SUPPORT AN INDEPENDENT BOOKSTORE NEAR ME, WHERE ARE PARTICIPATING STORES LOCATED? SAN FRANCISCO, CA Books Inc. Fill out the form above and make sure you’ve placed your pre-order directly with one of our select Indie bookstore partners. HOW WILL I KNOW MY PRE-ORDER WAS SUCCESSFUL? If you would like to confirm your pre-order of the book to ensure you receive your gift pack, please contact the bookstore you purchased from using the contact links below. WHEN WILL I RECEIVE MY GIFT? Your gift pack will be included with the book from the bookstore you purchased from. 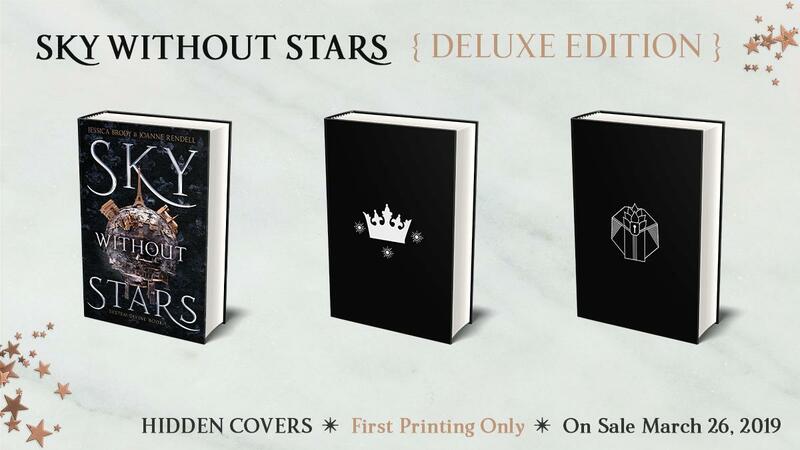 If you choose to pick up the book in-store, you may pick it up as soon as Sky Without Stars is released (March 26, 2019). If you choose to have the book shipped to you, please allow the appropriate time for delivery based on the shipping speed you selected at check-out. For any questions about the status of your order, please contact the bookstore you ordered from using one of the contact links below. IF I ALSO PRE-ORDER A COPY FOR A FRIEND, DO WE EACH GET A GIFT PACK? Yes. Every copy of the book pre-ordered from one of our select indie retailers will include a gift pack. However, we ask that you fill out the form above for each purchase you make. DO EBOOKS OR AUDIOBOOKS QUALIFY FOR THE GIFT PACK? No. Unfortunately, only hardcover copies of the book qualify for this offer. We will hold a random drawing. First, we will compile a list of every person who successfully completes the form above and we’ll upload their names into a list randomizer on random.org. Then we’ll use their software to pick the winner! 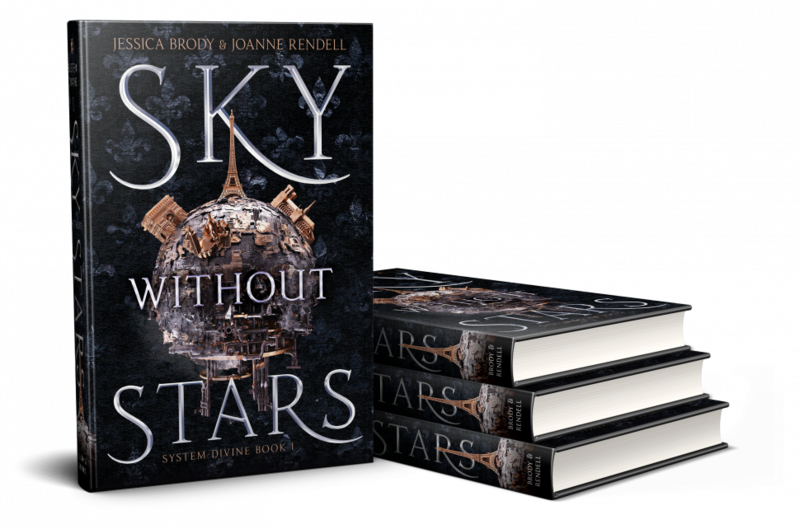 You must pre-order a hardcover copy of Sky Without Stars by Jessica Brody and Joanne Rendell before March 26, 2019 from one of our select Indie partners (Blue Willow Bookshop, Books Inc., Left Bank Books, Main Street Books, Mysterious Galaxy, Oblong Books & Music, Powell’s Books, Rediscovered Books, R.J. Julia, Square Books, Tattered Cover, Third Place Books, University Bookstore, Vintage Books) to be eligible to receive the pre-order gift. You must be 13 years or older to participate. If you’re younger than 13, please ask a parent or guardian to fill out the form for you. You may pre-order online from one of our partners (direct links can be found above). If you don’t wish to order online, most Indie bookstores will take pre-orders over the phone or in-store. Just ask a sales representative at the bookstore. Limited to one gift pack per purchased book. Multiple copies of the book may be purchased to receive multiple gift packs. Spend $100 at a local-owned business and $52 of that stays in your community. Spend $50 at a national chain and keep $6.50 in the local community. Spend $50 online with a remote vendor with no sales tax collected and keep not one penny in your local community. Now is the time to stand up and join your fellow individuals in the IndieBound mission supporting local businesses and celebrating independents. Campaign design & management by Royal Digital Studio. ♦ Feel free to contact us with any questions, comments, or concerns!